As the famous quote goes, people who love to eat are always the best people,and we would like to completely agree! Do you love food as much as we do? Every spring and summer, while traveling across Croatia to visit all the wonderful villas in our portfolio, we pretty much spend our time on the road talking about thinking of which meal we want to take on next. Once we’re back in Oslo, we’re always delighted by the modern kitchen that is Scandinavian cooking. So, we were thrilled to find an opportunity to combine elements of Croatian and Norwegian-style cuisine! Meet our friends and two talented chefs, Daniel Rosvold and Robert Elias Rydland who are traveling with us to Croatia to inspire local talent while hopefully also enjoy all the wonderful aromas of Croatia. 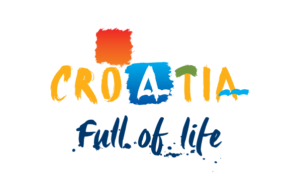 Daniel and Robert will be attending a workshop founded by Azrri, a development agency focusing on implementing various projects into rural areas of northern Croatia. The workshop brings together local and international chefs who work together on ways to include local raw materials into modern gastronomy. The main focus is on environment, ecology, culture, and educating local talent. Daniel Rosvold (29) is the main chef at the Oslo staple of traditional dishes - Gamle Raadhus. He is often seen at chef competitions and is a highly motivated and passion-driven person. Daniel is always looking for opportunities to upgrade his knowledge and implement new techniques in his work. Robert Elias Rydland (23) has partnered with Daniel at several competitions and is also his partner at Gamle Raadhus, where he successfully fullfills the most demanding tasks. Robert is passionate about preparing signature dishes and and his ultimate goal is to have his own restaurant where he can further master his skills. Do Croatian and Norwegian ingredients mix well together on one plate? We look forward to watching these successful talents joining forces and using their Norwegian food culture to bring out the best in premium Croatian-sourced material. Join us on social media from March 30 - we’ll track Daniel and Robert in Croatia, learn more about Istrian cuisine, and of course, we’ll share the views and weather of our most popular spots. Follow us on FB and Instagram.